Why Is Network License Management Crucial For Telecom Operators? Read about an in-depth analysis of scenarios, which lead to complexities in license management. 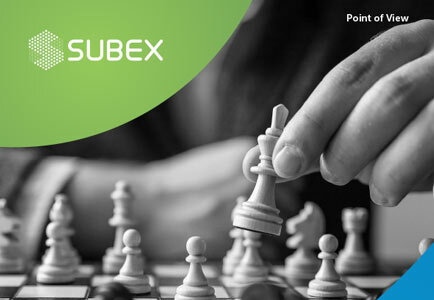 Provide statistics to Subex on how Subex website and portals are used; etc. Is this the first time you are attending the Subex User Conference? How likely are you to attend the next subex User Conference? How would you rate the relevance of content and themes covered in the agenda with your domain? On the scale of 1-5(1 being the lowest and 5 being the highest) how would you rate the following aspects of the event? How would you rate your the following sessions? How would you rate your overall experience of Subex User Conference 2017? What did you like the most about this event? What did you like the least about this event? Would you recommend your colleagues & industry peers to attend the next Subex User Conference? Would you like to make a presentation at the next Subex User Conference? Where would you want the next Subex User Conference to be held? Also recommended your preferred month of the year.